Sidekick Office Products is part of NBT Group. 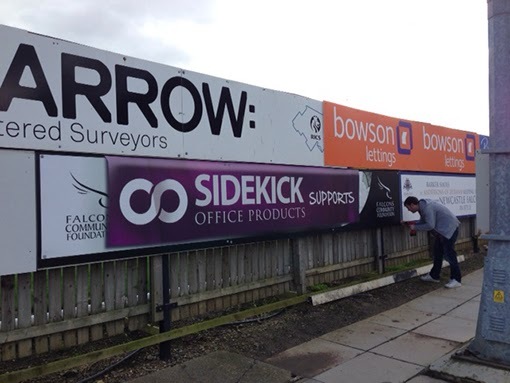 Sidekick is the Office Products Supplier for you if you want them to be 'at your side' in the North East - making sure that your stationery cupboard is always stocked with just the things you need. 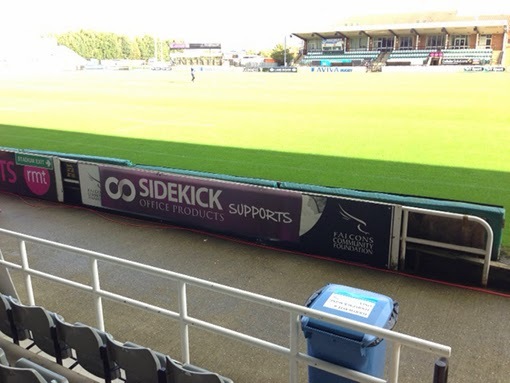 For this assignment, onebestway had to come up with an idea for a Newcastle Falcons advertising board that communicated another interesting aspect of the Sidekick offering - their support of the Newcastle Falcons Community Foundation. Our solution was to create a dummy Falcons board that was then overlaid with a Sidekick 'supporters sheet'. Samantha Up For A Third Award. Good Luck!